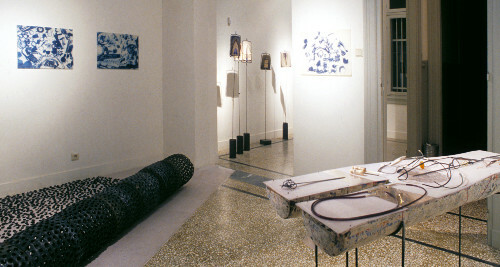 2006 "AFI in Paros", Pontoporos Gallery, Naoussa, Paros. 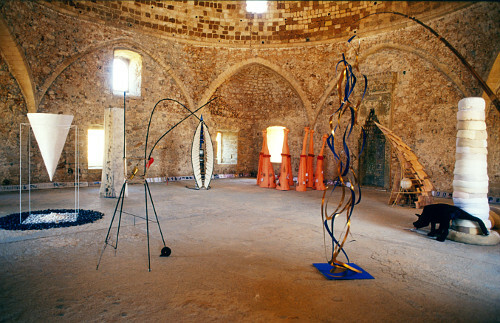 "AFI in the Round", Rethymno Center for Contemporary Art, Ibrahim Khan Mosque, Fortezza, Rethymno, Crete. "AFI at Monohoros Art Space", Athens. "AFI in Thessaloniki", Terracotta Art Space. AFI participates in Odhos Peireos," Metamorphoses of an Industrial Landscape", Pireos St., VIS Factory, Athens. Corinna Coutouzi, Despina Pantazopoulou and Maria Grigoriou create the archive of Patrick Coutouzis’ entire work and supervise the making of the book Patrikios Koutouzis-- Xylourgimata (Patrick Coutouzis, le bois enjoué), Agra and Bastas-Plessas Publications, Athens 1994. Concurrent retrospective exhibition of the work of Patrick Coutouzis at the French Institute of Athens. Organized, curated and presented by the members of AFI. "AFI in Epikentro", Epikentro Gallery, Patras. 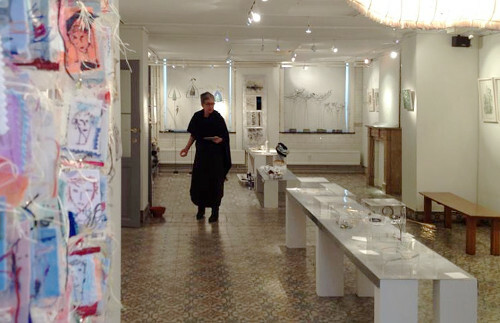 "AFI in Crete", Ariadne Gallery, Herakleion. 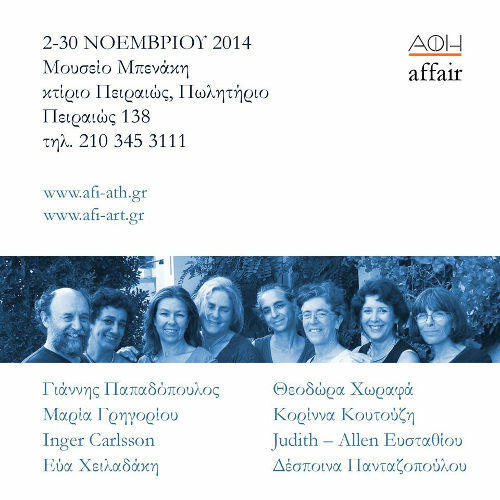 "AFI and the Creativ-Kreis International Group at the Community of Athens Art Center", Athens. "Light and Shadow", group show, Theodora Chorafas, Carol Iliou, Margarita Ekklisiarchou and Judith Allen-Efstathiou. "AFI in Katerini", Mati Art Space, Katerini. "AFI in Zakynthos", Zakynthos Art Space. 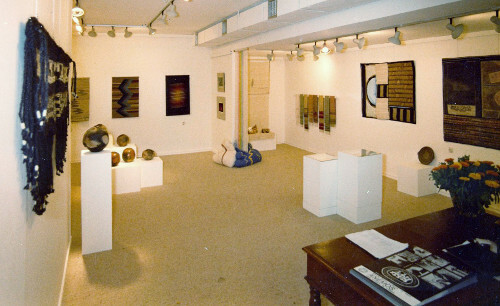 Exhibition of works by AFI members. Collaboration with the Swedish Institute and the Embassy of Sweden. A Presentation of Swedish artists (members of the ‘Group of Ten’ and ‘Textile Group’), AFI Center. 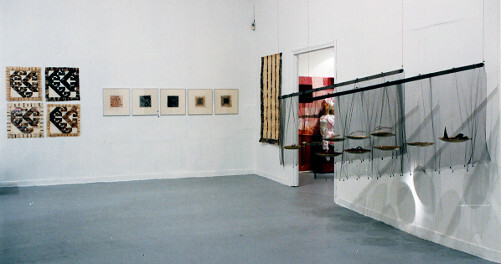 Patchwork, group show organized by AFI. Ceramics exhibition, Theodora Chorafas and Carol Iliou. 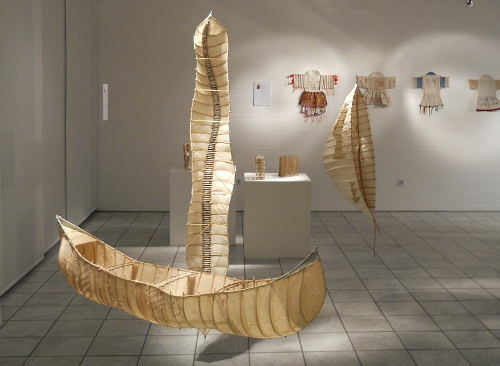 The European Crafts Council invites AFI to propose artists to represent Greece at the 27th Applied Arts Exhibition organized by the European Community in conjunction with the Japanese Craft Organization and held in Tokyo and Osaka. Members of AFI participating in this exhibition include: Corinna Coutouzi, Despina Pantazopoulou, Patrick Coutouzis and Yorgos Polyzos. "AFI in Serres", Greek Handicraft Organization, Serres, Greece. Jewelry exhibition, Daphne Krinos, Erato Boukoyanni and Vangelis Polyzos. "Wearables", group show organized and participated in by AFI. 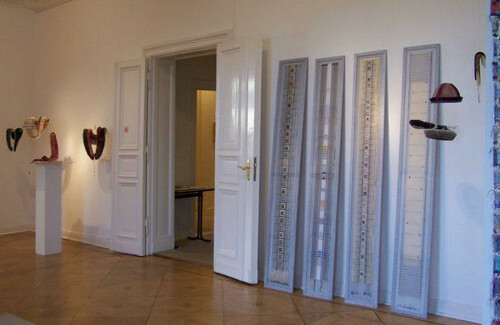 "Jewelry", group show organized by and participated in by AFI. "Box", group show organized and participated in by AFI. Patrick Coutouzis is invited to represent Greece at the meeting for the founding of the Mediterranean Center Artifex under the auspices of UNESCO in Paris. Ceramics exhibition, Richard Launder and Irene Constantinidi. Seminar on low fire and salt-glaze techniques by Richard Launder. Book show featuring editions on artists and techniques of applied arts, in collaboration with Compendium Bookstore. Patrick Coutouzis is invited to represent Greece at the World Crafts Council Conference, organized under the auspices of UNESCO in Rio De Janeiro, Brazil. Opening of the AFI Center, 25 Tripodon St., Plaka. Exhibition of works by the AFI members at the group’s new space. Exhibition of musical instruments (guitar and laouto) by Yorgos Thomopoulos. Laouto recital by Dimitris Nikas and guitar recital by Yannis Manolidakis. Exhibition of jewelry by Christiane Billet and Lilly Frangaki. 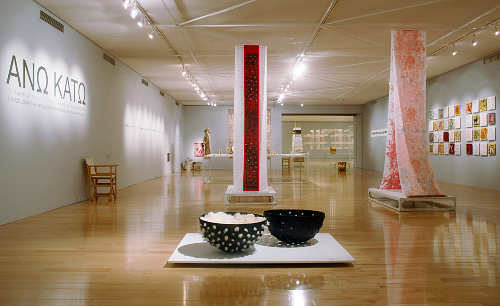 Exhibition of ceramics by Ingrid Keller. "Toys", group show organized and participated in by AFI. AFI members Despina Pantazopoulou, Patrick Coutouzis and Yiannis Papadopoulos represent Greece at the European Crafts Council’s International Conference, Dublin. "The Four Elements", an exhibition of the work of the AFI collective at Anemos Gallery, Kifissia. Organization of "Craftsmen ’80", a pan-Hellenic exhibition presented at the Hellenic-American Union, Athens. Foundation of the AFI collective. First exhibition at Synnefo Gallery, Plaka. AFI at Zita-Mi Gallery, Thessaloniki.